Mired in a cash crisis of its own making, the Indian government has announced plans to hand out $50 million to encourage people to use digital money. As many as two million Indians could benefit from a new temporary lottery that will be based on ID numbers attached to government e-payment systems. People using the systems will receive a number that will be entered into a daily draw, with 15,000 lucky winners receiving 1,000 rupees ($15) each. A weekly draw will create 7,000 more winners, each receiving between 5,000 rupees and 100,000 rupees. Retailers who use the systems also stand a chance to win money -- 7,000 of them will win between 2,500 rupees and 50,000 rupees each week. The lottery -- billed by the government as a Christmas gift to the nation --- will begin on Dec. 25 and run until April 14, 2017. On that day, there will be six more prizes ranging from $17,000 to a jackpot worth $1.5 million. Prime Minister Narendra Modi abruptly scrapped India's two biggest bank notes on Nov. 8, saying he wanted to tackle corruption and tax evasion. But the decision to ban all existing 500 and 1,000 rupee notes -- and replace them with new 500 and 2,000 rupee notes -- made 86% of India's cash effectively worthless overnight, plunging the economy into turmoil. The country runs on cash, but the distribution of the new notes has been bungled, leaving people struggling to make daily purchases. Cash sales of bigger items such as cars and diamonds have also slumped. "At present only 5% of personal consumption expenditure in India is digital," said Amitabh Kant, who runs the government-run think tank that came up with the policy. "Our objective is to make digital payments a huge mass movement in this country," he added. 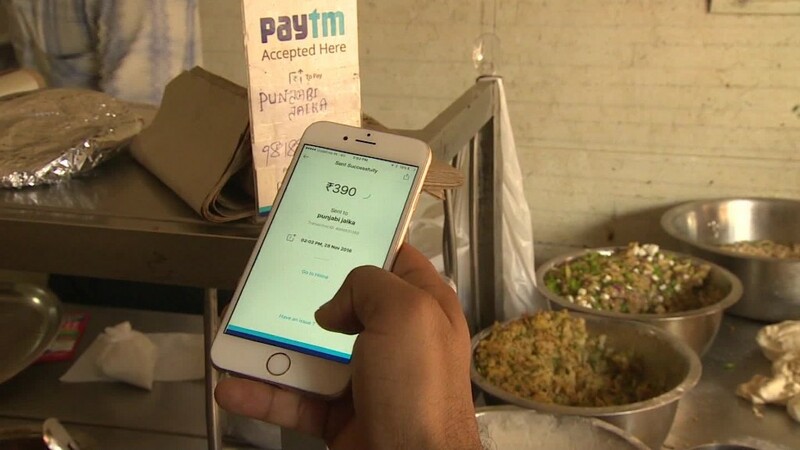 Related: India's cash crisis is a 'mammoth tragedy"
Cashless payment firms and mobile wallets have been booming since the rupee note ban, and the government is trying to encourage people to use its own systems.